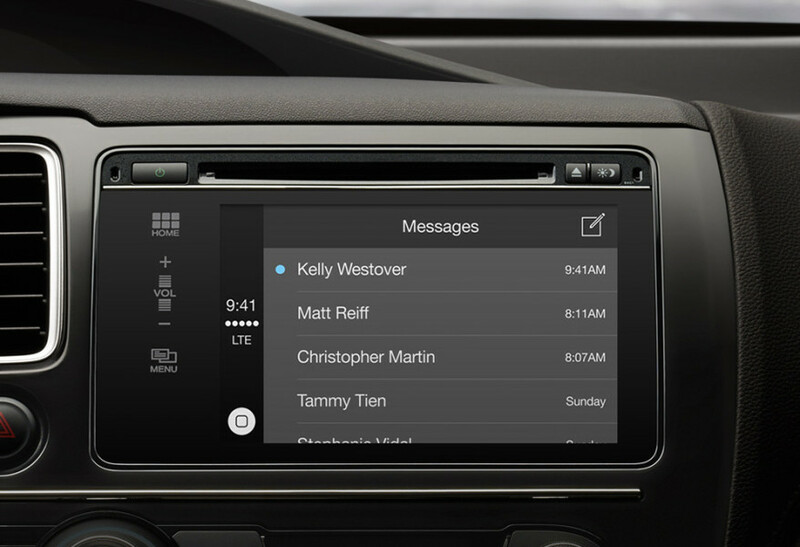 A fix for crappy infotainment software in your car is on the way. 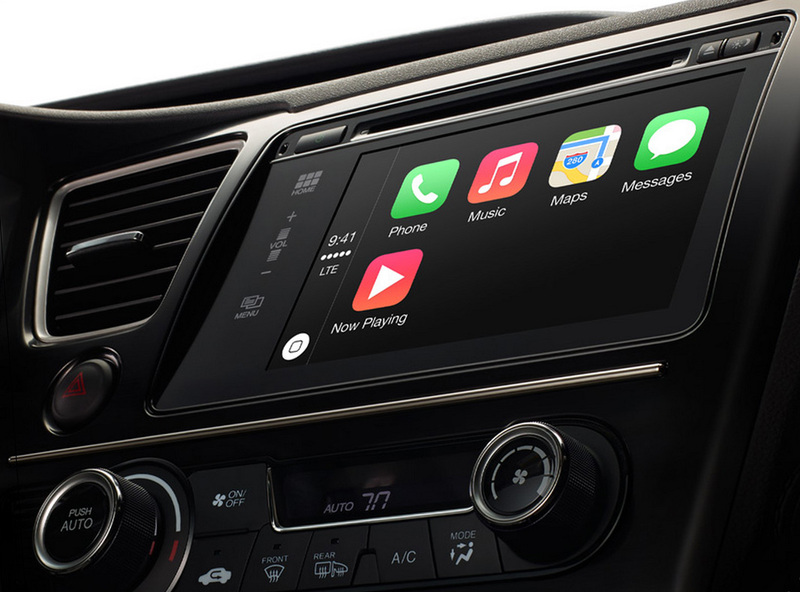 Apple announced on Monday the imminent arrival of CarPlay, software that works with a car’s infotainment system to bring the joys of iOS to vehicles made by almost every car manufacturer. The new software will let you connect your Lightning-cable-equipped iPhone to your car, and then you’ll see Apple’s lovely user interface on the car’s screen. Designed to avoid driver distraction, it will let you make and receive phone calls, play music with iTunes and other third-party apps, navigate with Apple Maps, and it will read aloud and send texts for you. 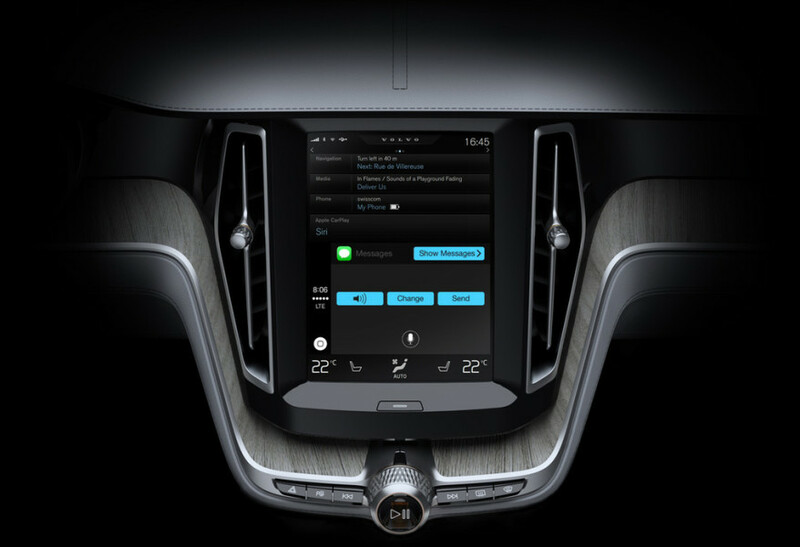 It will let you do those things by either pressing a button on your steering wheel to invoke Siri, pressing buttons on the car’s touchscreen, or using custom knobs and controls. 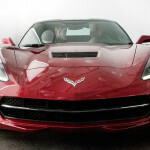 Launch partners for this new software will be swanky brands like Ferrari, Mercedes-Benz and Volvo. However, the next wave will include most other car brands: GM, Ford, Toyota, Honda, Mitsubishi, Hyundai, BMW, Kia, Opel, Jaguar Land Rover, Suzuki, Nissan and Peugeot (where’s Audi?). There’s no definite arrival date set on any of this. 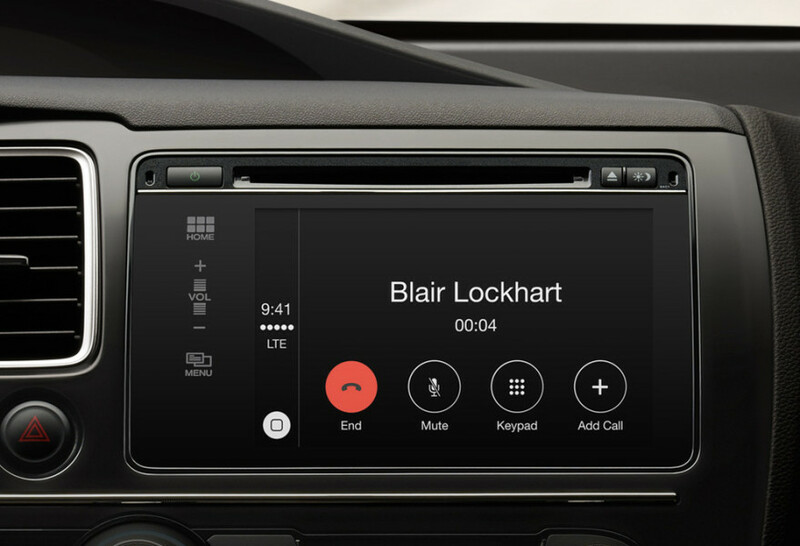 CarPlay will be an option that will run on top of (and coexist with) infotainment systems in cars. Those bulletproof real-time systems include the industrial-strength QNX, the BlackBerry-owned real-time operating system coming to Mercedes vehicles and said to be the next infotainment platform for Ford as soon as it finally abandons its clunky Microsoft-built Sync system. 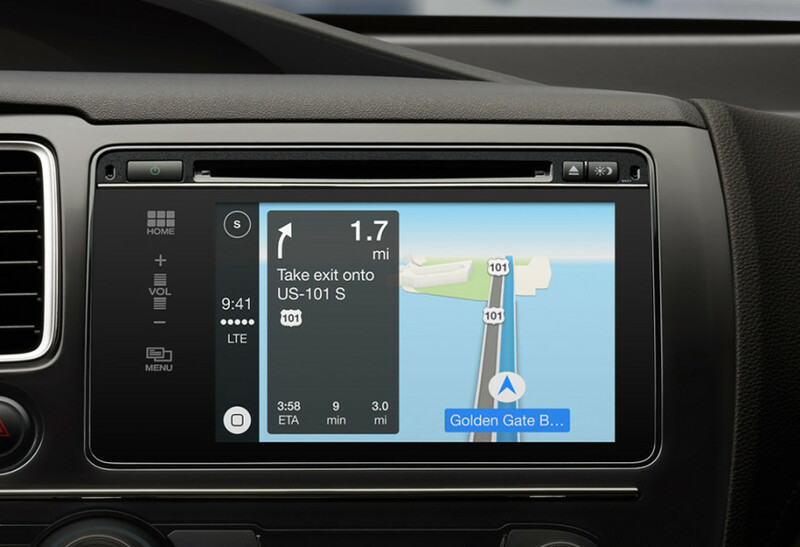 In its 1st iterations, CarPlay requires you to connect your iPhone to the car’s USB port, as you must do today with tech-packed vehicles such as the Chevy Spark. 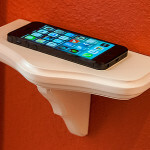 Soon there will be Wi-Fi connectivity, eliminating the need for plugging in cables. However, the disadvantage to that is, your battery will run down very quickly if your Phone’s not plugged in, so docking it via USB is not so bad after all. Don’t feel completely left out, Android users — Google is reportedly working on “Google Projected Mode” to do the same thing with your devices. Google crowed about its Open Automotive Alliance at CES 2014, and plans to include launch partners GM, Honda, Audi and Hyundai. 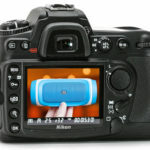 Note that many of the same manufacturers are on board with this Android-friendly protocol. 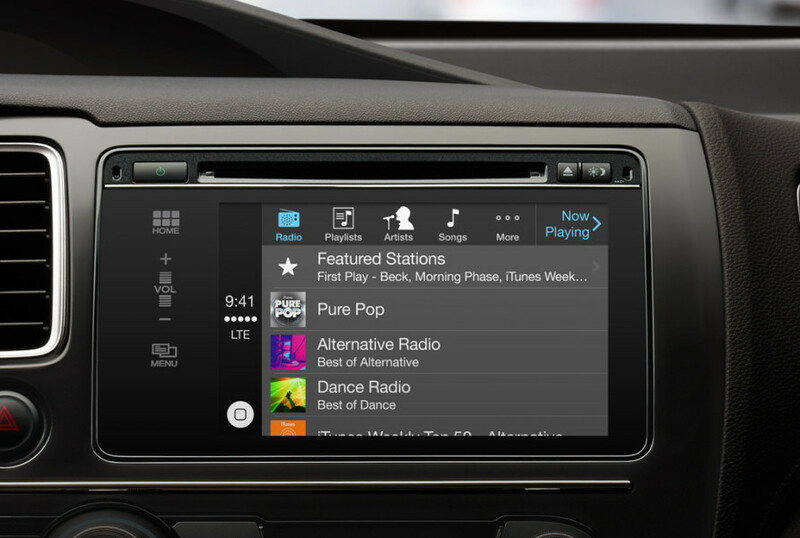 CarPlay is a welcome arrival, and I’ve been hearing rumblings of such a debut for almost a year. 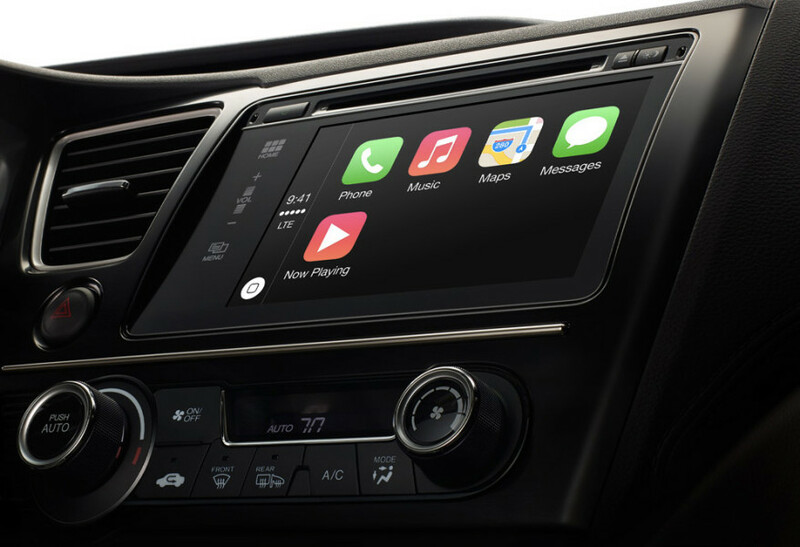 In fact, in a recent meeting with GM, company officials acknowledged the upcoming debut of Apple software in its infotainment systems. As is the case with all software that will be used in vehicles, the available apps will be carefully chosen and controlled. This is because there’s a fine line between usefulness and driver distraction when it comes to touchscreens in cars. 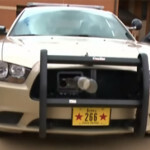 For instance, you wouldn’t want that driver drifting close to you on the Interstate to be watching a movie while at the wheel. Two caveats: Let’s hope Apple Maps gets all of its kinks worked out before CarPlay hits the road. And I can understand why Apple would call this new product CarPlay, keeping its branding in sync with its existing AirPlay. However, I’m so wary of driver distraction, I don’t like the word “play” used in the context of a potentially deadly activity such as driving a car. 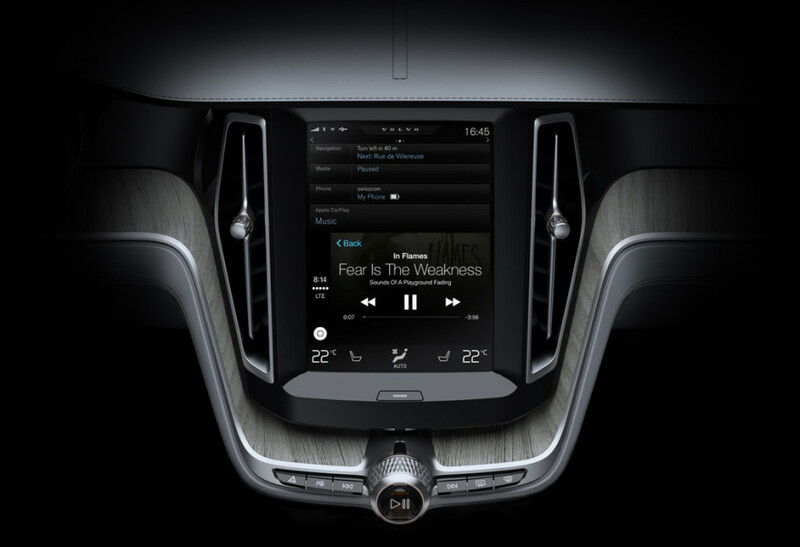 Aside from those nitpicks, I welcome the debut of a user-friendly interface to the automotive world, enhancing the rubbish infotainment systems car makers have been foisting upon us for the past several years. Welcome aboard, Apple. 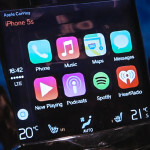 This entry was posted in Coolness and tagged Apple, CarPlay, Cars, Geneva Motor Show, Infotainment by Charlie White. Bookmark the permalink.